A third Power Ranger has joined the cast of Lionsgate‘s upcoming feature film today. 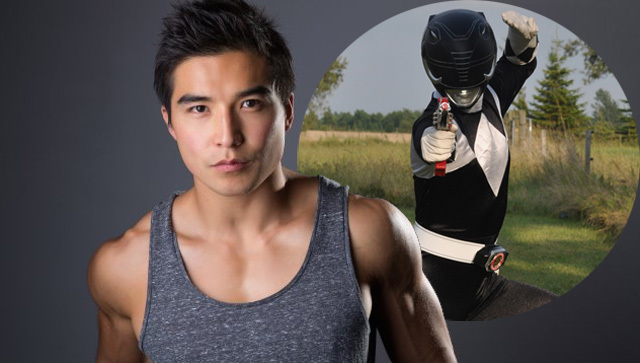 Another relative newcomer, Ludi Lin will play the Black Ranger, joining the previously-announced Naomi Scott (The Martian, “Terra Nova”) as the Pink Ranger and Dacre Montgomery as the Red Ranger. As was the case with Dacre Montgomery, Ludi Lin’s name did not appear on the recently rumored Power Rangers short list. His involvement was nevertheless confirmed by the film’s official Instagram account. You can check out the embed of the announcement below. Saban’s “Power Rangers” franchise is the brainchild of Haim Saban, creator and producer of the original “Mighty Morphin Power Rangers” hit series that launched in 1993. Following its introduction, “Power Rangers” quickly became the most-watched children’s television program in the United States and remains one of the top-rated and longest running boys live-action series in television history. The series follows the adventures of a group of ordinary teens who “morph” into superheroes and save the world from evil. It is seen in more than 150 markets around the world, translated into numerous languages and is a mainstay in the most prominent international children’s programming blocks.